Prayer is an important aspect of the Catholic faith. It is good to pray the prayers that we already know, that have been handed down to us by the Church, especially as these prayers are free from error and are pleasing to God. One of the best daily devotions we can have is to pray the Rosary. There is much grace that comes from having this devotion. 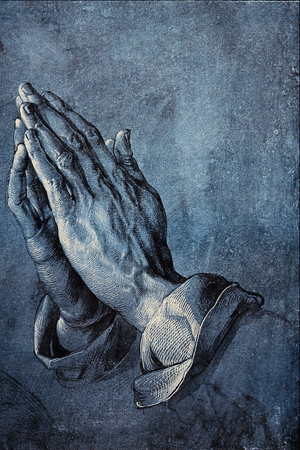 When I first began my journey into the Catholic Church, I had no prior experience to prayer, with the exception of the typical “God, please give me (insert something in) and I’ll be such a good person…” prayer. Though, through some trial and error, I learned that this isn’t exactly the best prayer, as more times than not, I was asking for something from my will and not from God’s. I quickly learned that we should pray for others. I began praying for myself, my family, and my close friends. Over time, I stopped doing this. The main reason I stopped, was because I started adding more and more people to that list. I could’t keep track. Recently, I came up with a relatively simple idea. I wrote down everybody that I should pray for. I even came up with a relatively simple format. I made a word document in which it was organized based on different categories. Prayer intentions are my own specific intentions for people, or requests that have been given to me. I offer up each decade of the Rosary for a particular person/group of people. I do something similar for the Divine Mercy Chaplet. I then break down the people I pray for by family, including myself, and all of my family members, as well as my wife’s family. Then all of my friends, co-workers, and all those who are ordained. I have a section for those who have gone before me and pray for the repose of their souls. I then have a miscellaneous group, in which I include the general intercession for my enemies. I am attaching this word document, for you to download and use. Edit it however you’d like, print it out, and pray for people.